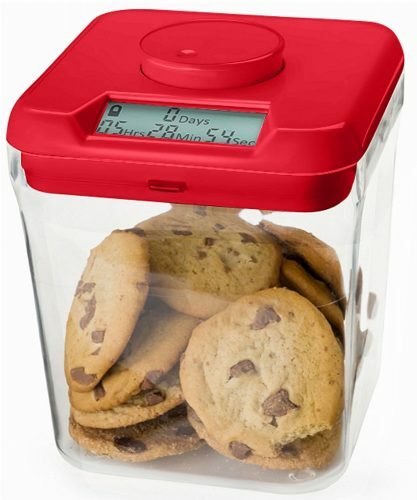 You can lock your biggest temptations anywhere from one minute to 10 days with this brilliant time-lock container especially when willpower is running low. 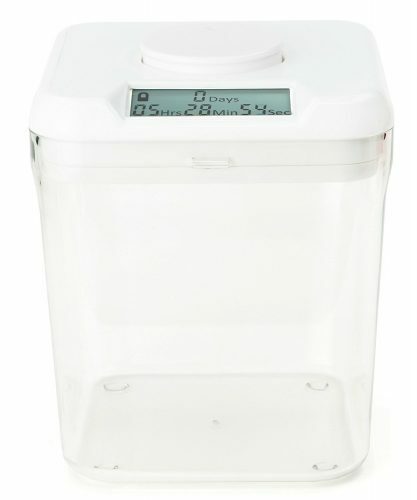 3) Press the button to activate the lock, once locked, the kitchen safe cannot be opened until the timer reaches zero. Seriously, there are no overrides, once it’s locked, it’s locked. Studies of highly successful people show that the best strategy for achieving goals is to avoid relying on willpower in all situations. These people are more likely to use something called pre-commitment, which significantly improves odds of achieving goals. Pre-commitment is the notion of committing to a smart choice early, when we know we will be tempted by a bad choice later. 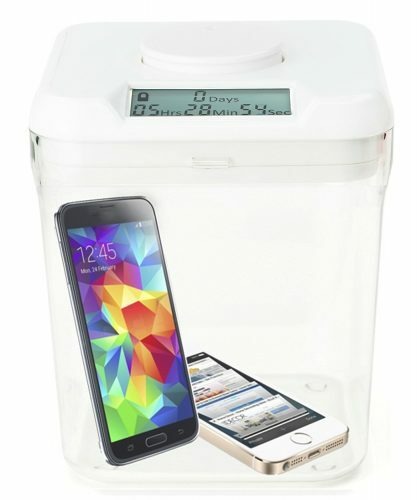 The kitchen safe is a tool that enables us to pre-commit to smart choices. 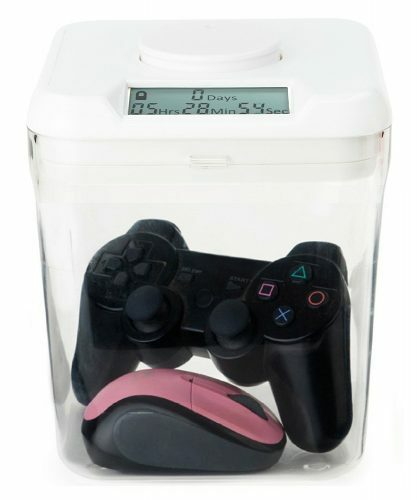 The Kitchen safe promotes good, healthy habits by locking any temptations out of your reach, from cookies to chocolates, even video games!